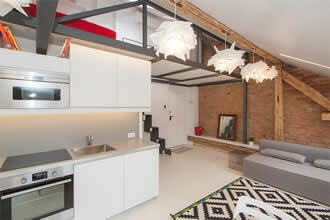 Unlike coastal Croatia, Zagreb has been a latecomer on the apartment rental scene but it's caught up quickly! There are now plenty of studios and apartments to rent throughout the medieval Upper Town (Gornji Grad) and dynamic Lower Town (Donji Grad) but many more in the latter. 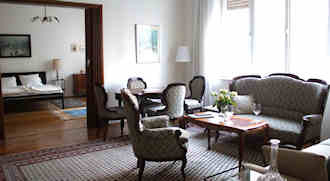 There's also some private accommodation in Novi Zagreb (new Zagreb) south of the Sava river and near the Zagreb Arena. It sounds far but the Zagreb tram system is excellent. For a quieter experience, consider staying near sprawling Maksimir park. 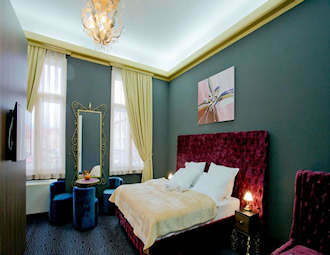 An elegant choice in Zagreb's Lower Town right next to Trg Jelacica. It couldn't be more central! Quiet but in the centre of the action in Zagreb's historic Upper Town. From studios to deluxe two-bedrooms, Irundo apartments are in various choice locations in the Lower Town. The name says it all plus the studios and apartments in this classic building are beautifully furnished. Don't forget tolook into a cheap hotel or hostel.